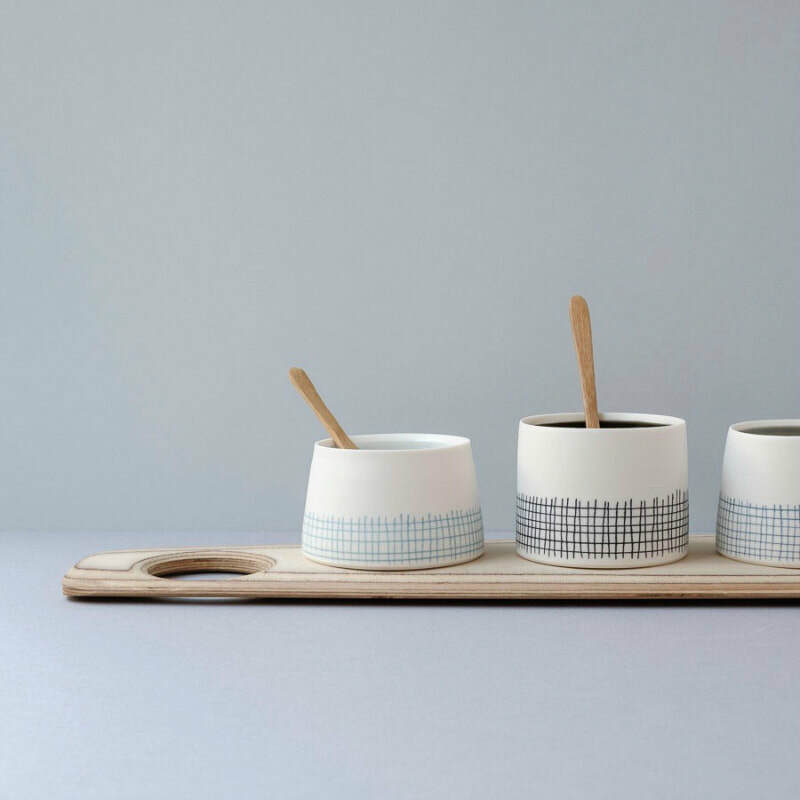 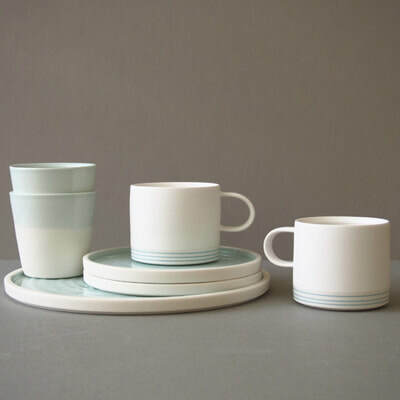 Kathryn Sherriff makes functional, wheel thrown porcelain ceramics in small batches from her garden studio in Carshalton; aiming for simple designs with clean lines and muted colour palettes that are practical and will work in most homes and on any dining table. 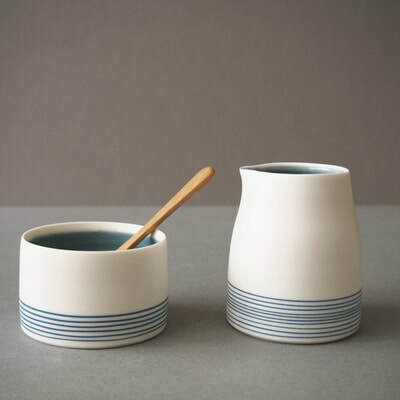 ​"I like to think that there's an element of my love of mid-century modern design in my pottery." The exterior surfaces are often left unglazed to create a tactile contrast between the raw clay and the glazed surfaces. 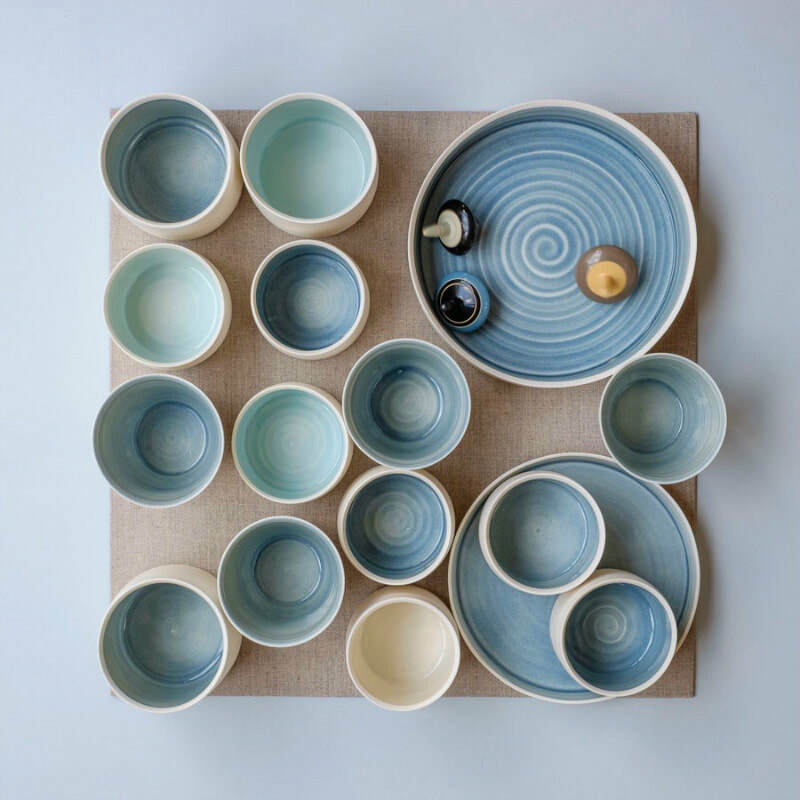 Decoration is applied using coloured slips, inlaid lines and carved repeating patterns.